SANFORD, Fla. (Huffington Post) -- Seminole County State Attorney Norman R. Wolfinger Thursday night removed himself from the case of Trayvon Martin, an unarmed teenager whose killing by a town watch volunteer last month sparked national outrage. Gov. Rick Scott met with the Martin's family and their legal team earlier today and assured them that Wolfinger would step down from the case, according to a family lawyer. Scott appointed Angela B. Corey, the prosecutor in the Jacksonville area, to replace Wolfinger on the investigation. The governor said on Thursday night that a state task force would review Florida's Stand Your Ground law and recommend changes "so that we might help avoid such tragedies in the future." Wolfinger’s decision was the second major shakeup in the case Thursday. Earlier, police Chief Bill Lee Jr. said during a hastily called press conference that he would temporarily resign as head of the Sanford police. Lee came into office less than a year ago, on the heels of another scandal that forced out his predecessor. Lee has been at the center of the investigation into Martin’s Feb. 26 killing and has come under fire for what Martin’s family and a growing sea of their supporters say has been a botched investigation at best, and a cover-up at worst. George Zimmerman, 28, told police that he shot the Miami native during a confrontation inside a gated community where Martin’s father lived. Zimmerman told the police that he noticed Martin, who he described in a call to 911 as a “suspicious” person who appeared to be on drugs. He then followed Martin, 17, against the recommendation of the 911 dispatcher. At some point the police said Martin noticed that he was being followed, questioned Zimmerman, and then a physical altercation ensued. Zimmerman reportedly ended up with a bloody nose. Martin ended up with a gunshot to the chest. Zimmerman claimed self-defense. The police questioned him, but then let him go, saying they did not have enough evidence to charge him. 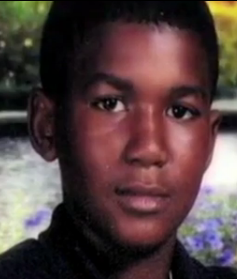 Police turned their investigation over to the State Attorney’s Office, which will decide whether to charge Zimmerman. On Monday, Wolfinger announced he would assemble a grand jury on April 10. At the time, Wolfinger asked that “the public remain patient as this process continues forward.” Soon after that, the U.S. Justice Department joined the investigation, along with the FBI. The Florida Department of Law Enforcement said that it too would be adding its investigative muscle to the case. “I have already committed experienced career prosecutors and investigators to this task who have been working diligently in conjunction with" the Florida Department of Law Enforcement, Wolfinger said. “We will cooperate fully with the appointed state attorney to assure a smooth transition of the investigation and the April 10, 2012, convening of the Seminole County Grand Jury. Corey, the newly appointed prosecutor from Jacksonville, told a local television news station that she has been prosecuting homicides for 25 years of her 30-year career. She plans to visit Sanford on Friday. "The governor called me late this afternoon and I accepted his request and we will begin tomorrow to look into the facts and circumstances in the shooting death of Trayvon Martin," Corey told WJXT. "It requires a thorough investigation, extensive interviews of every witness and extensive review of all evidence," Corey said. "And then a determination of how we apply Florida's law to the facts of any case." Florida Gov. Rick Scott said Thursday night the state will assemble a task force to study the state’s Stand Your Ground law, which allows deadly force anywhere in self-defense. The lieutenant governor will lead the task force. The House speaker and Senate president will help name members and the group will begin work as soon as the criminal probe into Martin's killing finishes, Scott said. “As law enforcement investigates the death of Trayvon Martin, Floridians and others around the country have rightly recognized this as a terrible tragedy," Scott said in a statement. "Like all Floridians, I believe we must take steps to ensure tragedies like this are avoided. After listening to many concerned citizens in recent days, I will call for a task force on citizen safety and protection to investigate how to make sure a tragedy such as this does not occur in the future, while at the same time, protecting the fundamental rights of all of our citizens -- especially the right to feel protected and safe in our state." Scott said the task force would "thoroughly review" the Stand Your Ground law and recommend changes to it and other laws that might be found lacking. How does one "temporarily resign" from a job??? I mean I have heard of being placed on leave or even taking leave, but exactly how do you quit but tell your boss you'll be back when you feel like it?? ?